I love lists – you know, all those “best of” lists – movies, books, toxic chemicals. Having a list makes it easy for us to tick off those bad chemicals that nobody wants to live with. And in the building industry there have been a proliferation of lists which identify chemicals of concern: the Perkins & Will Precautionary List, the LEED Pilot 11 and the Living Building Challenge Red List, among others. And make no mistake, we think it’s critical that we begin to develop these lists, because we all need a baseline. As long as we need to eat and breathe, toxics should be an important consideration. We just have a problem with how these lists are used. When using lists, it’s important to remember the concept of reactive chemistry: many of the chemicals, though possibly deemed to be benign themselves, will react with other chemicals to create a third substance which is toxic. This reaction can occur during the production of inputs, during the manufacture of the final product, or at the end of life (burning at the landfill, decomposing or biodegrading). So isn’t it important to know the manufacturing supply chain and the composition of all the products – even those which do not contain any chemicals of concern on the list you’re using – to make sure there are no, say … dioxins created during the burning of the product at the landfill, for example? It’s also important to remember that chemicals are synergistic – toxins can make each other more toxic. A small dose of mercury that kills 1 in 100 rats and a dose of aluminum that will kill 1 in 100 rats, when combined, have a striking effect: all the rats die. So if the product you’re evaluating is to be used in a way that introduces a chemical which might react with those in your product, shouldn’t that be taken into consideration? So, O.K., the two problems above would be extremely difficult to define – I mean, wouldn’t you need a degree in chemistry, not to mention the time and money, to determine if these could occur . The average consumer wouldn’t have a clue. Just wanted you to know that these problems do exist and contribute to our precautionary admonition regarding lists. The real reason we don’t like the way lists are used is that people see the list, are convinced by a manufacturer that their product doesn’t contain any of the chemicals listed, so without any further ado the product is used. 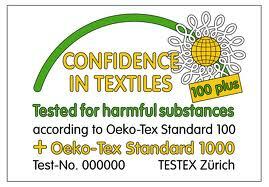 What does that mean in the textile industry, for example? In the case of arsenic (used in textile printing and in pesticides) and pentachlorophenol (used as a biocide in textile processing) – the Living Building Challenge Red List expressly forbids use in wood treatments only, so using it in a textile would qualify as O.K. Perhaps we should manufacture with a “green list” in mind: substituting chemicals and materials that are inherently safer, ideally with a long history of use (so as to not introduce completely new hazards)? But using any list of chemicals of concern ignores what we consider to be the most important aspect needing amelioration in textile processing – that of water treatment. Because the chemicals used by the textile industry include many that are persistent and/or bioaccumulative which can interfere with hormone systems in people and animals and may be carcinogenic and reprotoxic, and because the industry often ignores water treatment even when it is required (chasing the lowest cost) the cost of dumping untreated effluent into our water is incalculable. The textile industry uses a LOT of water – according to the World Bank, 20% of industrial freshwater pollution is from the textile industry; that’s another way of saying that it’s the #1 industrial polluter of water on the planet. 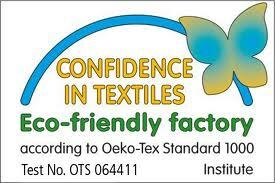 In India alone textile effluent averages around 425,000,000 gallons per day, largely untreated. The chemically infused effluent – saturated with dyes, de-foamers, detergents, bleaches, optical brighteners, equalizers and many other chemicals – is often released into the local river, where it enters the groundwater, drinking water, the habitat of flora and fauna, and our food chain. The production of polychlorinated biphenyls (PCBs) were banned in USA more than 30 years ago (maybe that’s why they’re not listed on any of these lists? ), but are still showing up in the environment as unintended byproducts of the chlorination of wastes in sewage disposal plants that have a large input of biphenyls (used as a dye carrier) from textile effluent. Please click HERE to see the PDF by Greenpeace on their new campaign on textile effluent entitled “Dirty Laundry”, which points the finger at compliant corporations which basically support what they call the “broken system”. It asks corporations to become champions for a post toxic world, by putting in place policies to eliminate the use and release of all hazardous chemicals across a textile company’s entire supply chain based on a precautionary approach to chemicals management, to include the whole product lifecycle and releases from all pathways. 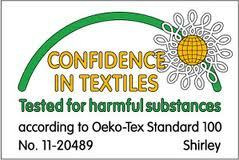 Another problem in the textile industry which is often overlooked is that of end of life disposal. Textile waste in the UK, as reported by The Ecologist, has risen from 7% of all waste sent to landfills to 30% in 2010. The US EPA estimates that textile waste account for 5% of all landfill waste in the U.S. And that waste slowly seeps chemicals into our groundwater, producing environmental burdens for future generations. Textile sludge is often composted, but if untreated, that compost is toxic for plants. What about burning: In the United States, over 40 million pounds of still bottom sludge from the production of ethylene glycol (one of the components of PET fibers) is generated each year. When incinerated, the sludge produces 800,000 lbs of fly ash containing antimony, arsenic and other metals. These considerations are often neglected in looking at environmental pollution by textile mills – but is never a consideration on a list of chemicals of concern. So yes, let’s recognize that there are chemicals which need to be identified as being bad, but let’s also look at each product and make some kind of attempt to address any other areas of concern which the manufacture of that product might raise. Using a list doesn’t get us off the hook. Jacks Gunnar et al (1995), “The Environmental Cost of T-Shirts”, Sharing Common Water Resources, First Policy Advisory Committee Meeting, SIDA, Madras Institute of Development Studies, Chennai. Yes, we’re still talking about the printing process! As I warned you, it’s complicated. 1. Preparation of the print paste. 3. Drying the printed fabric. 4. Fixation of the printed dye or pigment. So let’s look at the rest of the steps – drying, fixation and afterwashing. Actually, the printing process begins even before passing the fabric thru the printing presses, because the fabric must be conditioned. 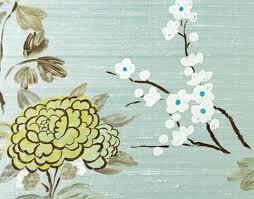 The cloth must always to be brushed, to free it from loose nap, flocks and dust that it picks up while stored. Frequently, too, it has to be sheared by being passed over rapidly revolving knives arranged spirally round an axle, which rapidly and effectually cuts off all filaments and knots, leaving the cloth perfectly smooth and clean and in a condition fit to receive impressions of the most delicate engraving. Some figured fabrics, especially those woven in checks, stripes and crossovers, require very careful stretching and straightening on a special machine, known as a stenter, before they can be printed with certain formal styles of pattern which are intended in one way or another to correspond with the cloth pattern. Finally, all descriptions of cloth are wound round hollow wooden or iron centers into rolls of convenient size for mounting on the printing machines. Immediately after printing, the fabric must be dried in order to retain a sharp printed mark and to facilitate handling between printing and subsequent processing operations. Two types of dryers are used for printed fabric, steam coil or natural gas fired dryers, through which the fabric is conveyed on belts, racks, etc., and steam cans, with which the fabric makes direct contact. Most screen printed fabrics and practically all printed knit fabrics and terry towels are dried with the first type of dryer, not to stress the fabric. Roller printed fabrics and apparel fabrics requiring soft handling are dried on steam cans, which have lower installation and operating costs and which dry the fabric more quickly than other dryers. After printing and drying, the fabric is often cooled by blowing air over it or by passing it over a cooling cylinder to improve its storage properties prior to steaming, which is the process which fixes the color into the fabric. Steaming may be likened to a dyeing operation. Before steaming, the bulk of the dyestuff is held in a dried film of thickening agent. During the steaming operation, the printed areas absorb moisture and form a very concentrated dyebath, from which dyeing of the fiber takes place. The thickening agent prevents the dyestuff from spreading outside the area originally printed, because the printed areas act as a concentrated dyebath that exists more in the form of a gel than a solution and restricts any tendency to bleed. Excessive moisture can cause bleeding, and insufficient moisture can prevent proper dyestuff fixation. Steaming is generally done with atmospheric steam, although certain tyepes of dyestuffs, such as disperse dyes, can be fixed by using superheated steam or even dry heat. In a few instances, acetic or formic acid is added to the steam to provide the acid atmosphere necessary to fix certain classes of dyes. Temperatures in the steamer must be carefully controlled to prevent damage from overheating due to the heat swelling of the fabric, condensation of certain chemicals, or the decomposition of reducing agents. Flash aging is a special fixation technique used for vat dyes. The dyes are printed in the insoluble oxidized state by using a thickener which is very insoluble in alkali. The dried print is run through a bath containing alkali and reducing agent, and then directly into a steamer, where reduction and color transfer take place. After steaming, the printed fabric must not be stored for too long prior to washing because reducing agent residues may continue to decompose, leading to heat build up in the stacked material and defective dyeing or even browning of the fibers. If a delay of several hours is anticipated before the wet aftertreatment the fabric should be cooled with air (called “skying”) to oxidize at least some of the excess reducing agent. Finally, printed goods must be washed thoroughly to remove thickening agent, chemicals, and unfixed dyestuff. Washing of the printed material begins with a thorough rinsing in cold water. After this, reoxidation is carried out with hydrogen peroxide in the presence of a small amount of acetic acid at 122 – 140 degrees F. A soap treatment with sodium carbonate at the boiling point should be begun only after this process is complete. This washing must be carefully done to prevent staining of the uncolored portions of the fabric. Drying of the washed goods is the final operation of printing. And there you have it – a beautifully printed fabric that you can proudly display. Bet you know the subject of the next post – the environmental consequences of all this. Stay tuned.